The lead plaintiffs’ organization, Demanda Colectiva Maíz (Acción Colectiva), announced Wednesday that opponents of genetically modified (GM) maize in Mexico prevailed in an important new federal appeals court ruling. The federal judge, Benjamin Soto Sánchez, head of the second Unitarian Court in Civil and Administrative Matters of the First Circuit, upheld the provisional suspension that prohibits pertinent federal agencies from processing and granting the privilege of sowing or releasing into the environment of transgenic maize in the country. The federal suspension has been in force since September 2013 despite 100 challenges by transnational agribusiness interests and the federal government. The attorneys for the defenders of maize also argued that, in the case of GM soybean crops in Yucatán, the Court should consider “that Mexico is a mega-diverse country.” The ‘center of origin’ argument is a significant departure from the approaches taken in other countries. 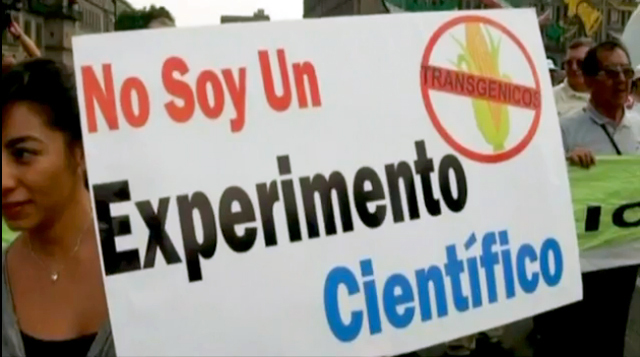 Judge Soto’s resolution “means the confirmation of suspending the planting of genetically modified corn stands until the court decides the ultimate appeal”, explained René Sánchez Galindo, lawyer for the Colectiva. Galindo explained how the argument of the federal court consisted of the principle that Mexican law requires that the courts preserve the subject of judgment during the appeal proceedings “since the damage would be irreversible if transgenic crops are sown”. The demand for collective action against the planting of genetically modified corn was presented in July 2013 and together with judicial suspension has endured a hundred appeals by the federal Government and transnational corporations. The press release further explains how the legal challenges against the citizens’ coalition have involved 22 amparo judgments, which have been resolved by 17 different federal courts and the first Chamber of the Supreme Court. In all these rulings, the judges determined the legality and importance of maintaining the precautionary principle and affirmed the need to avoid the planting of GM maize. The group fighting to uphold the GM maize ban, Acción Colectiva, is led by Father Miguel Concha of the Human Rights Center Fray Francisco de Vittoria; Victor Suarez of ANEC (National Association of Rural Commercialization Entertprises); Dr. Mercedes Lopéz of Vía Organica; and Adelita San Vicente, a teacher and member of Semillas de Vida, a national organization that has been involved in broad-based social action projects to protect Mexico’s extraordinary status as a major world center of food crop biodiversity and as the birthplace of the original varieties of maize. Monsanto thinks it owns (and has the right to destroy the future of) the Earth. 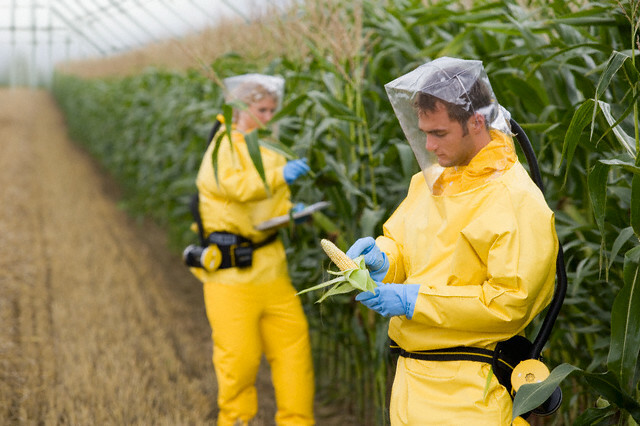 So let’s see a battle between Monsanto staff and execs and Mexican military forces. Who would win? I ‘d pay good money to watch that one.